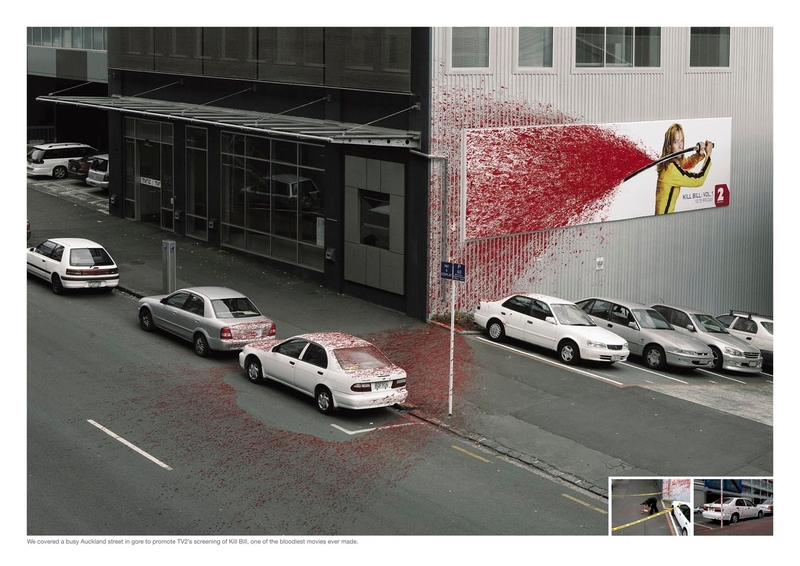 TVNZ in April 2008 promoted the TV 2 screening of Quentin Tarantino’s film, Kill Bill Vol. 1 with a suitable quantity of blood splatter. Uma Thurman is shown on the side of the TVNZ building in Hobson St, Auckland, holding her samurai sword, sending gore all over the TVNZ car park, pavement and street below. 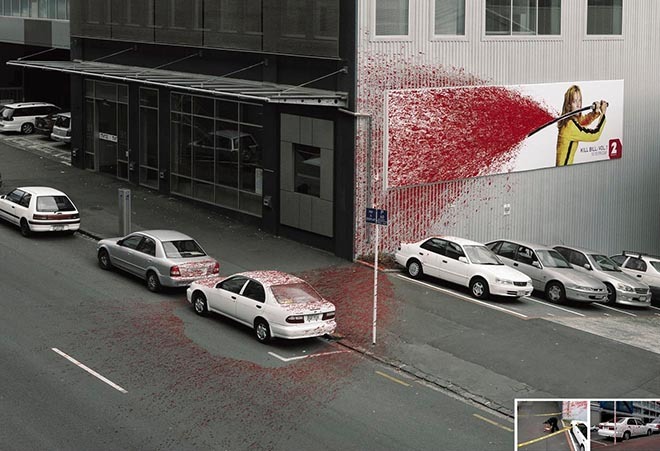 The Blood Splatter stunt was developed at Saatchi & Saatchi New Zealand by executive creative director Mike O’Sullivan, copywriter Helen Steemson, art director Matt Swinburne, producer Anthony Martin, general manager Sonya Berrigan, group account director Jillian Stanton, account director Sarah Maclean, account manager Jody Lorimer, with TVNZ head of marketing Jason Paris and TV2 marketing executive Jodi O’Donnell from TVNZ. Photography by Troy Goodall was retouched by Nick Browne.